Yoga for the Voice - a 1000-word introduction! When I first began my professional singing career, still in my teens, I was extremely dissatisfied with the explanations I had been given for how and why the singing voice works. I just couldn't make my voice do the things I wanted it to. Admittedly, I had pretty high expectations. Fortunately, I went to my public library and happened on a copy of "Science and Singing" by the late, great Ernest George White of London, England. After decades of scientific research, White discovered how the voice and vocal tone actually originate in the four sets of sinus cavities in the head, not in the throat/vocal cords, as was previously believed. White taught people to speak who had had their vocal cords surgically removed - just by training them in controlling the air in their sinus cavities. He explains in his book that the air vibrating in an enclosed space (the head) acts as a musical instrument, similar to a flute or a recorder or even air moving through a keyhole and producing sound. He felt that the vocal cords, or vocal folds as he preferred to call them, merely aided in regulating the flow of breath from the lungs up to the head, where the sound was actually produced. Unfortunately for me, White had already passed away in 1940, so I began my own attempts at playing with the air in my sinus cavities. After many months of study, pretty much by trial and error, I found that I was actually a first soprano, not a second soprano, as I had thought. I found that it took much less air - and a lot of control - to maintain my high notes, but that I now HAD control. And I really began to develop my own unique singing voice, after years of trying to sound like everyone else that I admired. Wow - even my high expectations had been reached. When I moved to Austin a few years later, I began teaching singing (and piano) as my day job. I taught all kinds of people how to sing and speak, from age 4 to age 76. Many of my students found great success with playing with the air in their sinuses - remarking that, although they hadn't had success with traditional exercises, they could now make their voices sound clearer and they could control the voice. There is a lot of joy in learning that what was once a mystery can be placed under control in a fun and musical way. But what actually ended up putting the true icing on the cake for what I now call "Yoga For the Voice" technique was my study of kundalini yoga, and subsequent training as a kundalini yoga instructor. I found that by incorporating yogic breathing and exercises, and sometimes even chanting yoga mantras, my students and I were able to make even more progress in controlling our vocal instruments. Not to mention the improvements in health, speaking voice, keeping the sinuses free and clear, and gains in personal confidence. You learn exactly what your vocal range is and why - your vocal range is determined by the shape, number and quality of the sinus cavities in your head. You feel the difference in your own body - singing feels healthy, beautiful and under your control. If it feels right, it actually is right. The reverse is true as well - if it feels wrong, then there is some work to be done, usually in releasing some tension and muscular effort that is getting in the way of the tone. A side benefit includes keeping the sinuses free and clear - it actually helps your overall health in addition to your vocal health. Ernest G. White's sinus exercises have been used solely for the purpose of keeping the head cavities clear, and can be helpful for people with allergies and other problems which create mucus in the sinuses. White's exercises can be used to improve your speaking voice and your vocal projection - they are excellent for actors, teachers and public speakers as well as for singers. In general, if one is just using the exercises for speaking purposes, the vocal range is more limited and focused on the actual speaking voice than in singing training. For children, I tend to break it down to very basic, easy-to-understand exercises. I think the sinus concepts are too difficult for most children to grasp, so I try to give them exercises they can easily understand and have fun with. A typical "Yoga For the Voice" lesson consists of four parts. First, I teach the student ancient yoga breathing techniques that have proven useful to the voice student. Second, we begin the sinus exercises from Ernest George White's teachings, starting to find what I like to term the "musical architecture" inside the voice student's head, i.e. her/his particular set of sinus cavities. Third, we sing "full body" exercises, which enable the student to start to experience her/his full vocal instrument, from the solar plexus to the top of the head. These exercises are performed on the Italian vowels: mah, meh, mee, moh, and moo. Fourth, we integrate what we have learned from the first three exercises into mastering a song, usually one that the student chooses, since students generally practice more if they are really excited about a song!! If you are interested in exploring "Yoga For the Voice" further, my voice lessons are available privately at my music studio in Austin, Texas. In addition, I offer lessons over the phone and over the Internet as well (using Skype, FaceTime, etc. ), making myself available to you wherever you are in the world. gfire is a professional singer-songwriter, DJ, voice and piano teacher and Kundalini yoga instructor based in Austin, Texas. She has taught literally hundreds of students how to use their voices more effectively. 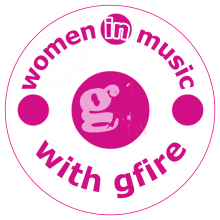 For more information, please visit http://gfiremusic.com.